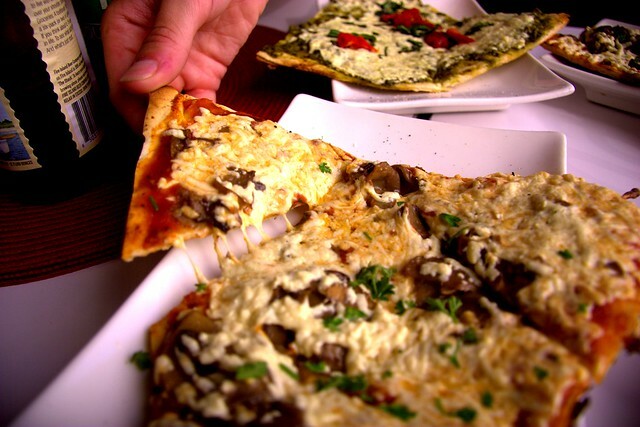 There are a number of reasons you might not want dairy on your pizza, for one. Whether it's religious dietary restrictions, allergies, or the belief that dairy is not the sole source of calcium that is out there (shh… don't tell the dairy industry I said that! 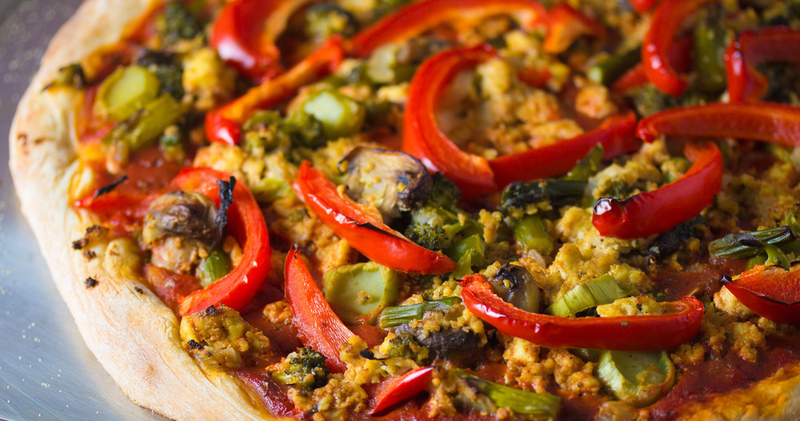 ), you can still enjoy pizza – vegan pizza. Browse the shelves of Whole Foods, Trader Joes or Natural Grocers and you'll see a number of options for dairy free cheese. Most of these do not taste good, and almost none of them melt like real cheese. 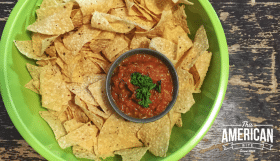 Daiya have pioneered the field of dairy free cheese that is worth eating in creating a product that taste cheesy, and melts. They do one thing differently and I believe this is what makes all the difference, Daiya is not soy based, it is tapioca based. If, like me, you like to keep your soy consumption to a minimum, you'll understand that this is rare. Before I share this recipe with you, I want to showcase some vegan pizzas for the skeptics. The recipe below will give you a great pizza base for you to build upon with toppings of your own. 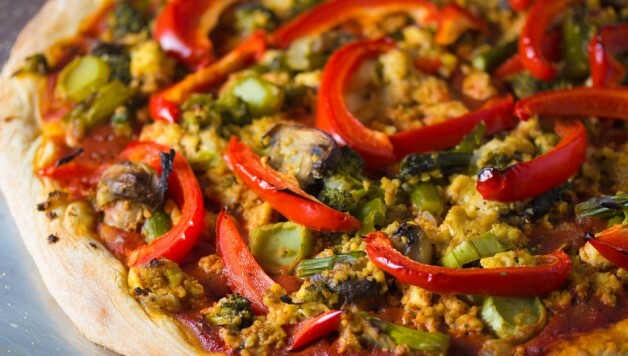 If you are looking for a vegan pizza night, you can have it – or if you are looking for a kosher pizza with slices of pepperoni or sausage, now you can try that too. 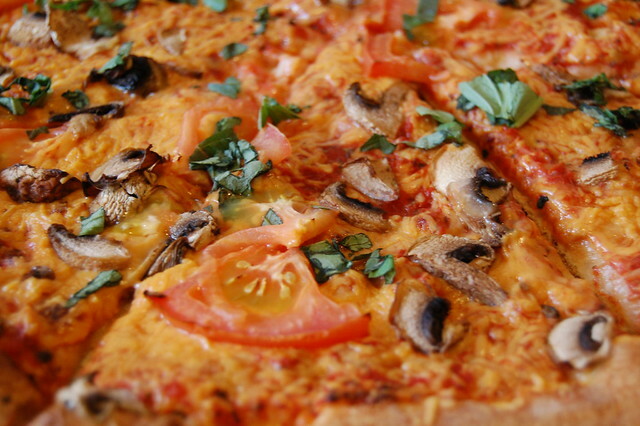 Pizza Base – Note that Whole Foods sell an organic, whole wheat, dairy free pizza base. Pre heat the oven to 350 degrees. Lay a silpat on a cookie sheet and spread some extra virgin olive oil thinly so it covers the surface. Now, sprinkle the granulated garlic over the layer of olive oil. If you really want to mix it up a little, add a little zaatar too. Place your pizza base on the tray and slide in to the oven for four minutes. Remove the base from the oven now that it has warmed and started to bake a little. This will make the crust a little sturdier, and give it a great crunch. Use a brush or teaspoon and paint the edge of the crust with some olive oil to prevent the edge from burning. Now, pour some sauce, not too much, over the pizza base. Start with less, you can always add more later. Use the back of a tablespoon to evenly distribute the sauce over the base. Choose your toppings wisely. Some like onions, others like black olives, and the British like anchovies and or tuna. Pineapple and corn is a great combo. I like to use fresh spinach and fresh basil. Avoid putting more than two of three toppings on your pizza, they won't cook and you will end up with a mound of par-cooked tomato-sauce-covered veggies that will fall off the pizza with the first bite. Less is more. Finally, sprinkle with cheese. I like to mix the mozzarella shreds with the pepper jack shreds, but I do have an unhealthy obsession with pepper jack . Slide your pizza into the oven for eight to ten minutes, depending on how high you piled those toppings. Keep an eye on it so it doesn't burn. 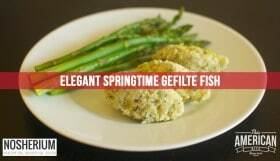 Serve with some rutabaga fries or a fresh raw zucchini salad and an ice cold beer. This post was revised in January 2013. Photo credits to wannabeavegan, avtography, sweetonveg and suzettesuzette. 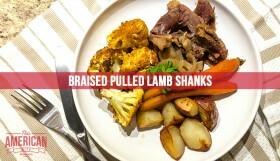 If you like this recipe, how about a Re-Tweet? 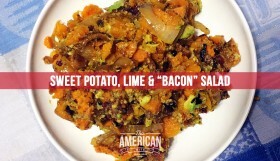 Follow This American Bite's board THIS AMERICAN BITE on Pinterest.